Applied in the existing joints between the different shaped refractory components present in the laddle, such as sliding gate systems and plugs for steel agitation. The composition of each product allows adapting to different geometries and the operational needs of each plant, ensuring a proper seal. •	Sealplast: Excellent response in operation and easy take-off after use. 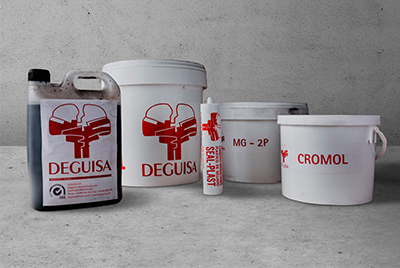 •	Graphite mass: Allows a watertight seal and an easy extraction of the nozzle. •	Seal-Chrome: Guarantees a proper sealing in very thick joints and in applications of high structural responsibility. Do you need more information about Sealing mass for refractory joints or about other products or services? Send us your details and we will contact you.